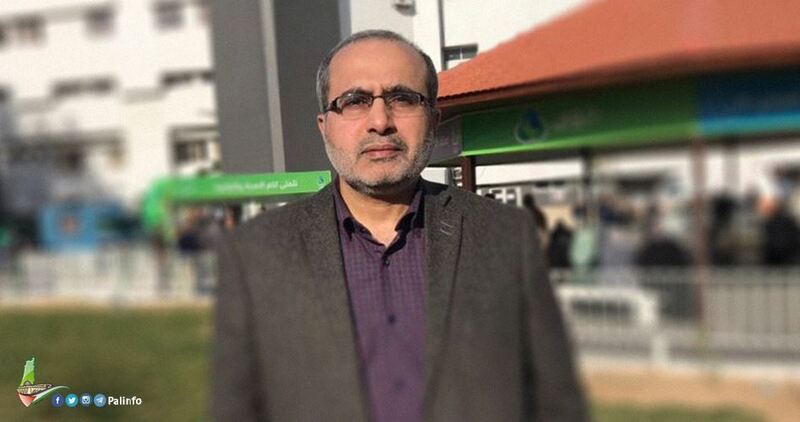 Director of Gaza hospitals Abdul-Latif al-Hajj has warned that the health situation in Gaza is going to deteriorate further due to depleting medical supplies and the failure to pay for cleaning and catering services in hospitals. In press remarks to the Palestinian Information Center (PIC), Hajj stated that the warehouses of the health ministry hospitals in Gaza are 47 percent short of basic medicines, describing the scarcities in medicinal supplies as burdensome for doctors and families of patients. He also held the Ramallah-based government responsible for the failure of the health ministry in Gaza to pay its contractors who employ cleaners and other service-providers at hospitals. He said that after the consensus government took over the ministries in Gaza, the health situation, in particular, started to decline significantly, stressing that Gaza needs permanent solutions to all problems faced by the health sector. 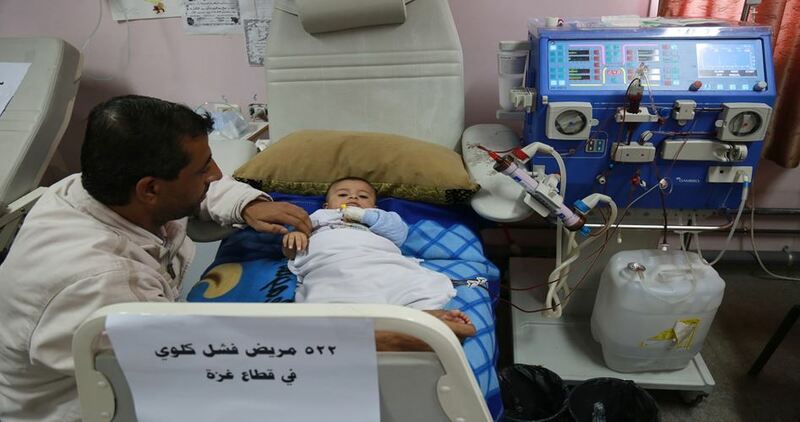 Director of the Laboratories and Blood Banks Unit at the Palestinian Ministry of Health, Shahda Barhoum, sounded the alarm over the acute shortage in Gaza’s vital laboratory testing materials, saying the situation is very likely to take a turn for the worse by next year. Barhoum said much-needed blood gas testing services might go out of operation as a result of the shortage. Others tests needed in the pre-transfusion phases, including Hepatitis C and B tests, along with HIV analysis, also risk to be suspended in the enclave. For his part, director of the Department of Central Laboratories, Husam Qweidar, said Gaza’s labs have run out of basic items needed for medical diagnosis and follow-up. He warned of an imminent crisis in phenylketonuria (PKU) test, which is done to check whether a newborn baby has the enzyme needed to use phenylalanine in his or her body. Materials to conduct other life-saving tests, namely thyroid and organ transplantation, are also very likely to go scarce in the near future. Qweidar warned that the absence of such vital tests for newborns might lead to mental retardation and general learning disability. 383 laboratory materials out of 657 types have gone out of stock. 274 ore types are expected to reach a stockout in no more than three months. 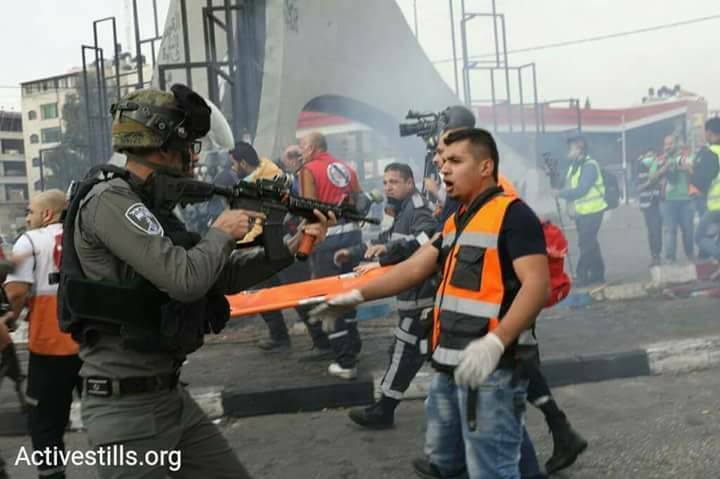 The PIC reporter said that the IOF violently quelled marches in al-Wad area in Occupied Jerusalem, assaulted Palestinian protesters and arrested a press photographer named Amin Siam. Wafa news agency reported that the IOF soldiers brutally assaulted a paramedic and arrested a Palestinian youth after he was wounded with a rubber bullet in the head during the clashes. 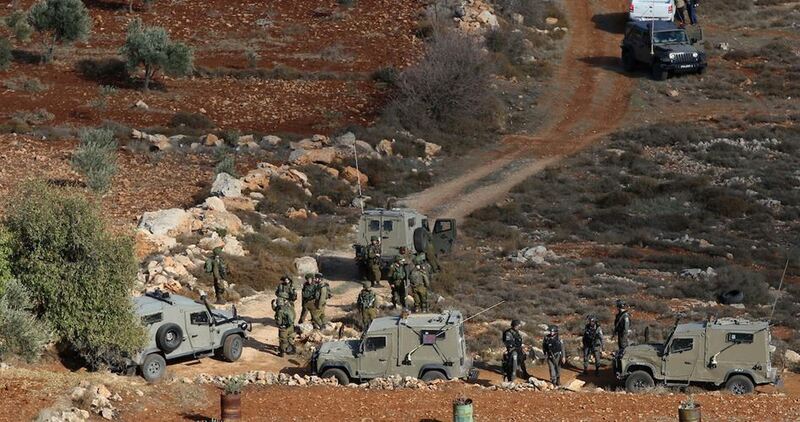 The Israeli occupation forces (IOF) on Wednesday evening arrested nine Palestinian young men and two girls in al-Khalil province. According to security sources, the IOF arrested the Palestinian youth Munther al-Atrash, 22, during the clashes that erupted in Halhul town. The same sources added that eight Palestinian young men were arrested and taken to an unknown destination after being ambushed by the IOF soldiers near Bab al-Zawiya area in the center of al-Khalil city. The IOF soldiers stormed the university building after a settler was injured of stone throwing while passing near the clashes the erupted between Palestinian youths and the IOF at al-Arroub entrance. Israeli soldiers injured several Palestinians, and abducted one child, earlier Sunday, at the eastern entrance of ‘Aida refugee camp, north of Bethlehem, in the occupied West Bank. 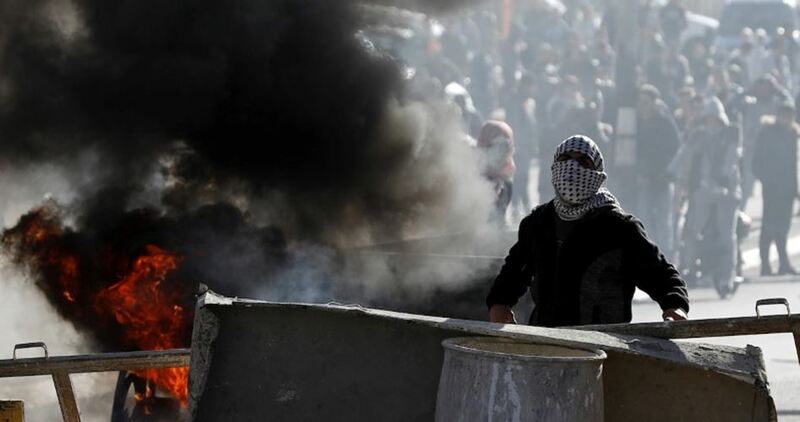 Medical sources said the soldiers attacked Palestinian protesters, and fired many gas bombs and concussion grenades, causing many to suffer the effects of teargas inhalation. 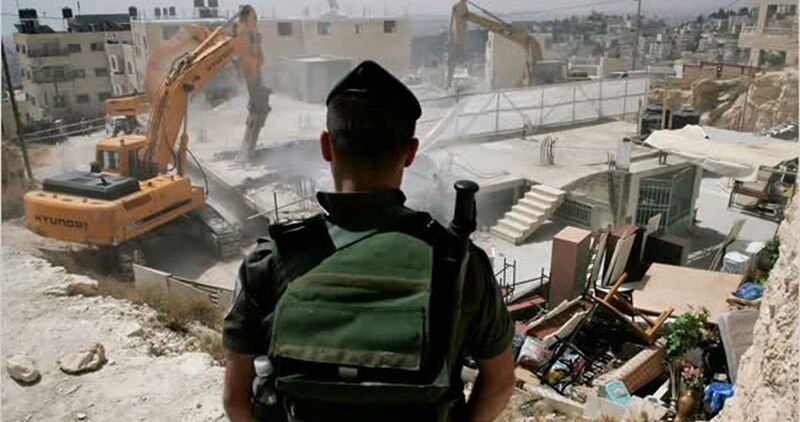 The soldiers also assaulted several Palestinians, and abducted a child, identified as Nayef Naji Abu ‘Aker, 14. 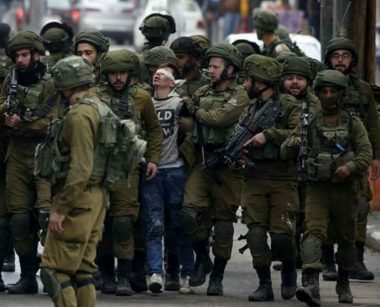 Furthermore, the soldiers abducted four Palestinian teenagers, in Beit Ummar town, and the al-Fawwar refugee camp, in addition to summing another Palestinian for interrogation, in Hebron governorate, in the southern part of the occupied West Bank. In related news, the Palestinian Health Ministry said that the army continues to target journalists, ambulances and medical teams, across occupied Palestine, in direct violation of International Law, and the Fourth Geneva Convention. The Israeli occupation forces (IOF) on Friday opened fire at Palestinian ambulances and journalists during the protests taking place east of the Gaza Strip against the US announcement of Jerusalem as the capital of Israel. Spokesman for Gaza's Ministry of Health, Ashraf al-Qedra, said that the IOF deliberately targeted a Palestinian Red Crescent ambulance with rubber bullets east of Khan Younis in the southern Gaza Strip with no injuries reported. Medics told the PIC reporter that they were attacked with tear gas canisters while trying to evacuate injured protesters during the clashes that erupted east of Khan Younis. Quds Press reported that the Palestinian journalist Mustafa Hassouna was injured while several others suffered breathing problems after being targeted with tear gas canisters. Mahmoud al-Masri, 30, was killed and at least 55 civilians were injured during the confrontations that broke out with the IOF soldiers in 8 different areas east of the Gaza Strip. Several Palestinian citizens suffered injuries in violent clashes with Israeli soldiers in Qusra town, southeast of Nablus, after a horde of Jewish settlers stormed the town, attacked local residents and hurled stones at cars and a Red Crescent ambulance. According to a Red Crescent official, one young man suffered a bullet injury in the leg and another one in his pelvis when soldiers attacked Palestinians as they were trying to fend off Jewish assailants. 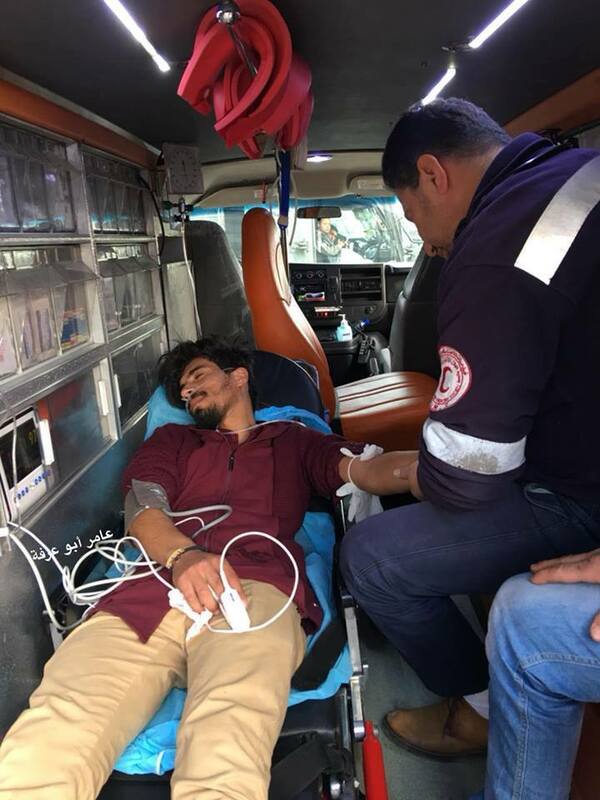 Another citizen suffering from a kidney failure suffered from inhaling tear gas and was evacuated to hospital, while many others received medical assistance on site. Meanwhile, Mosque loudspeakers were used by imams to urge Qusra residents to help their compatriots in the eastern area of the town defend themselves against settlers’ attacks. Later, local sources told the Palestinian Information Center (PIC) that dozens of settlers escorted by soldiers entered Qusra through its eastern entrance and embarked on hurling stones at homes and cars. Consequently, clashes broke out between local young men and the settlers before soldiers intervened and fired live ammunition and tear gas at the young men. Member of the town municipality Abdul-Adheem Wadi also told the PIC that scores of settlers arrived aboard buses at the main entrance to the town, closed it, and attacked Palestinian cars and a Red Crescent ambulance. Israeli soldiers released, on Sunday at night, a young Palestinian man, who was shot and injured by army fire, on Sunday afternoon, by dumping him at the entrance of the al-‘Arroub refugee camp, north of Hebron, in the southern part of the occupied West Bank. The Palestinian Red Crescent said that the soldiers threw the wounded man, Ahmad Abu Rayya, 20, at the main entrance of the refugee camp, before its medics were called to the scene and rushed him to the Hebron governmental hospital. It is worth mentioning that Abu Rayya was abducted by Israeli soldiers at the Gush Etzion Junction, while he was being rushed to a hospital in Bethlehem. 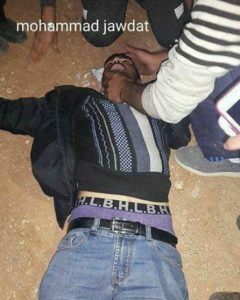 He was shot by live Israeli army fire, in his leg, in the al-‘Arroub refugee camp. 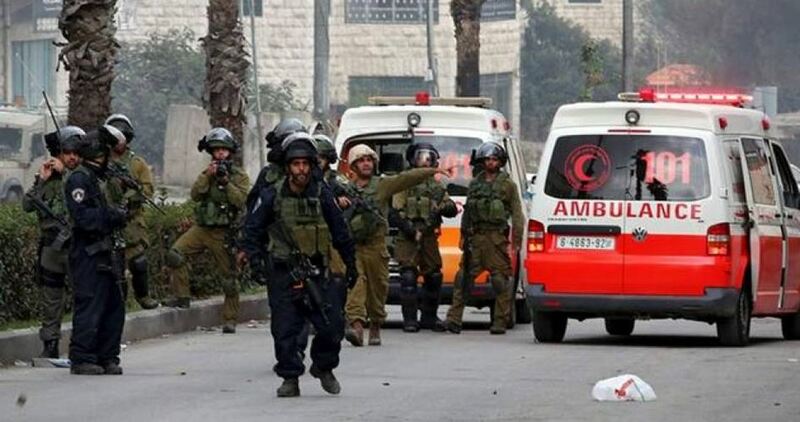 The Israeli occupation forces (IOF) on Sunday detained a Palestinian Red Crescent ambulance that was transferring an injured Palestinian youth to the hospital. 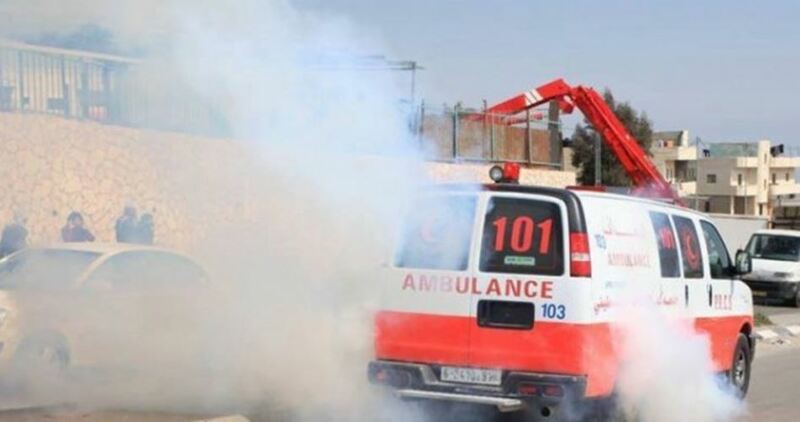 The PIC reporter said that the ambulance was called to al-Arroub refugee camp in al-Khalil after a Palestinian youth was injured in the clashes that broke out between Palestinian youths and the IOF soldiers in the area. He added that the car, while transferring the injured youth to Bethlehem Hospital, was stopped and detained at Gush Etzion junction. 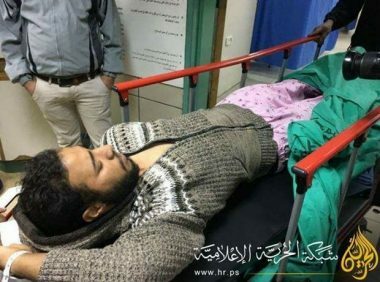 Palestinian medical sources reported that the youth was arrested and taken to an unknown destination despite being injured with a live bullet in the thigh. 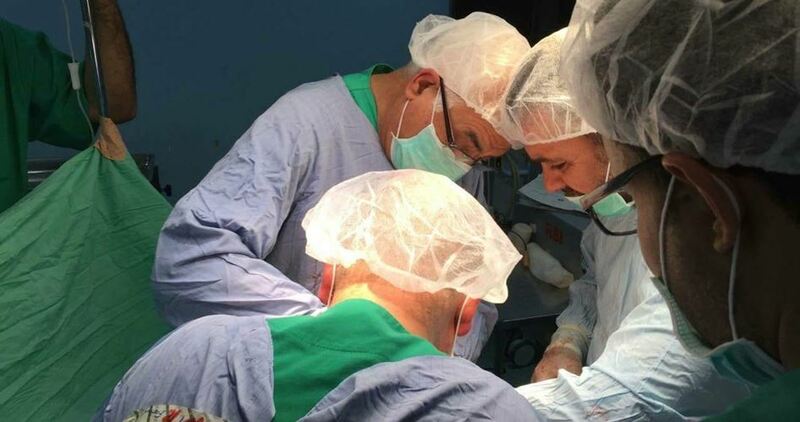 A delegation from the Palestinian Doctors Union in Europe, France branch, on Saturday performed a series of qualitative surgeries in a number of hospitals in the Gaza Strip. The PIC reporter said that the medical crew conducted surgeries in al-Shifa, Nasser and Indonesian hospitals in Gaza in coordination with the Palestine Children's Relief Fund. Director of the Gaza office of the Palestinian Doctors Union, Dr. Ahmad Abu Nada, said that the delegation, composed of two doctors named Nizar Badran and Raouf Salati, participated in the seventh conference organized by the faculty of medicine at the Islamic University of Gaza under the title "Health Crisis and Disaster Management in the Gaza Strip". The delegation is also scheduled to meet with a group of Palestinian doctors, officials and deans of medical schools in Gaza universities. The Palestinian Doctors Union in Europe was established in 2008 and it managed to send many medical delegations to the Gaza Strip, West Bank, and Palestinian refugee camps in addition to setting up several emergency clinics in the Gaza Strip during the 2014 Israeli aggression.